Archives of 0051 sketches. Courtesy of 0051. 0051's reputation for creating streetwise, sturdy, rough and tumble sneakers is a reflection of its long and eventful history as part of Slovakia’s shoemaking history around the city of Partizánske. Partizánske was once one of the centres of shoe manufacturing founded by shoe mogul Tomáš Bata. After the Second World War, Bata’s company was nationalized by the communist rulers and transformed into a shoe-making powerhouse, producing up to 30 million shoes per year. Amongst those were the typical sturdy high top sneakers that are known by their authentic article number “0051”. City Center of Partizanské. A town well known for its shoe industry. Bata's famous posters from the 1940's. After the downfall of the communists, the former business unit became a separate company specializing in rubber boots and canvas sneakers. 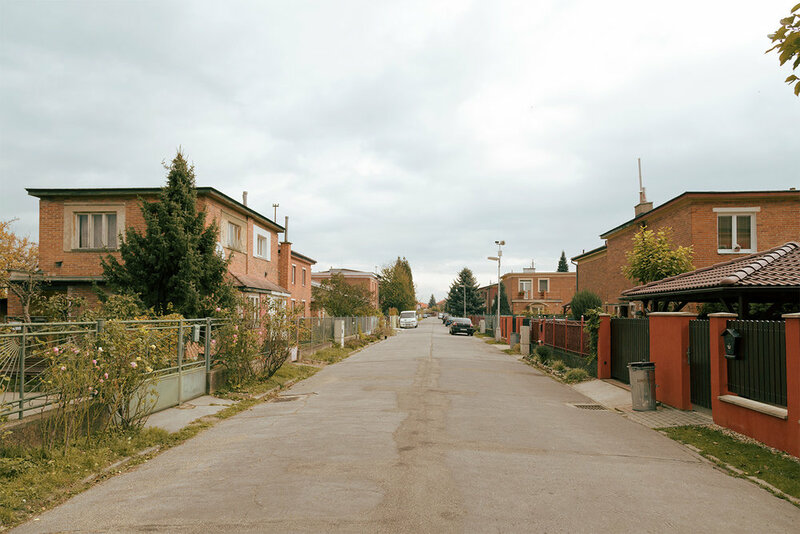 Partizánske is no longer the thriving hub of industrial activity it once was. Many abandoned factories only remind of those heydays. 0051’s manufacturer too, has moved into more modest buildings, but the famed low cost, high quality sneakers are still created by skilled craftsmen, based on the same designs of all those years ago. Still going strong, still inspiring ! © 0051, ALL RIGHTS RESERVED.